WWE's "women's evolution" took its logical next step last week as the company announced its first all-women's pay-per-view. Aptly, the PPV will be called "Evolution." It will take place at the Nassau Coliseum in Long Island, New York on October 28. WWE is hyping that over 50 wrestlers from the past and present will be involved, with Trish Stratus, Lita, and Beth Phoenix already advertised. The lead stories in the new issue of the Wrestling Observer Newsletter cover the lives, careers and deaths of Brian Christopher Lawler, Nikolai Volkoff and Brickhouse Brown. With Lawler, look at his death, his recent arrest, the decision to not bail him out, growing up in Memphis, how he started in pro wrestling, how he got his first push and his USWA heyday. Look the death of Nikolai Volkoff, what led to it, the true story of his name and where he got the gimmick as opposed to the public explanation that was always told. Find out about the strange circumstances surrounding the death of Brickhouse Brown, how he was pronounced dead and came back to life, and his description of what happened when he was dead the first time. Read the update on the current SummerSlam show, business notes, Lesnar vs. Reigns, as well as the market value of tickets for all the rest of the summer major events. Also there is more on the WWE FOX deal, new programming that both has and hasn't been discussed, updated contract information, new season of Total Divas, why Cain Velasquez was training at the Performance Center, and Sting talks if he will wrestle again. Look at the debut of ITV World of Sport wrestling, why it was put on network TV in that time slot, ratings for the show and what they mean, who watched, why people were surprised about the viewership and what it means. 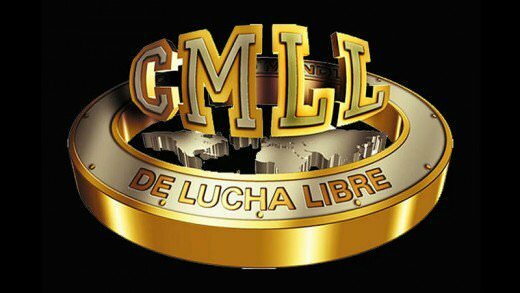 The ticket prices announced for the CMLL Anniversary show on 9/14 suggests that there will not be an L.A. Park vs. Rush mask vs. hair match as was originally scheduled. Tickets go on sale on Saturday at 11 a.m. Nothing has been announced. There are people in Mexico who are connected who told me earlier this week that the match was now off but they weren't with CMLL. The belief is if that match was happening, the prices would be higher than they are listed. 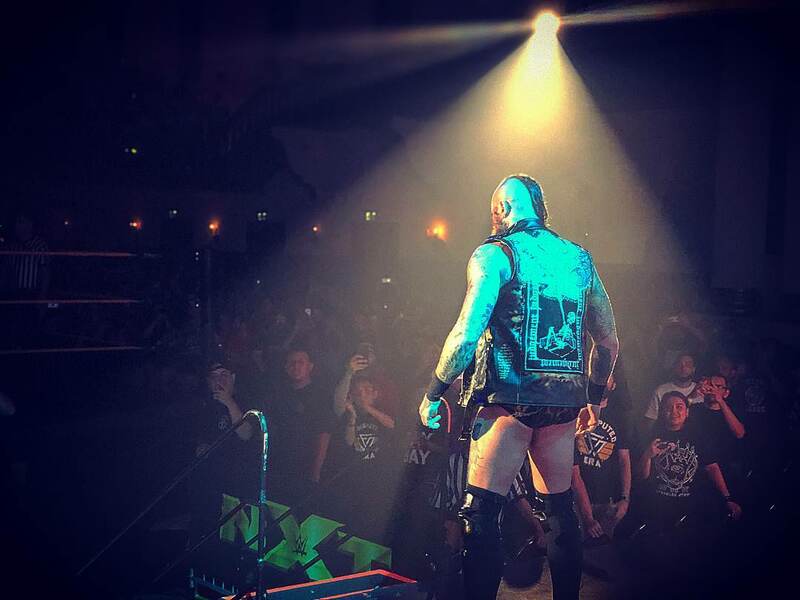 Aleister Black is out of action due to an injury that required surgery after he was crotched by Tommaso Ciampa at the house show in Las Vegas this past Saturday night. We don't have a recuperation time yet but the Takeover show would at least on paper seem awfully quick. We were only told that he would be okay but it was quite scary when it happened. Rumors all week are true that WWE has now decreed that wrestlers in the U.K. division are no longer allowed to take any bookings over a seven day prior period to a WWE U.K. event. Southside Wrestling noted that both Joseph Conners and Dan Moloney are off their 8/19 show due to that. As was noted in the latest Observer that this was likely, it is now official that Verizon Fios viewers will no longer have access to Bein Sports due to the inability to come to an agreement on carriage charges with the current contract expiring. Antonio Briceno, the station's USA Deputy Managing Director said that the station offered to extend the current contract with the same rate and terms but Verizon chose to drop the deal. He said Verizon falsely claimed they were trying to get a significant rates increase. WWE announced a new book called "Creating the Mania: An Inside Look at how WrestleMania comes to life" by Jon Robinson will be released this coming Tuesday by ECW Press. This will talk about how the storylines were come up with and more. The 9/9 NXT show in Detroit will be held at the Royal Oak Music Theater. Tickets are on sale today with the code of NXTLive. They go on sale to the public tomorrow. Kazem Famuyide, an MLW podcaster, has gotten a job with WWE on its writing team. He started earlier this summer on a three-month summer trial. Volkan Oezdemir vs. Anthony Smith has been announced as the main event for the 10/27 show in Moncton, New Brunswick. PVH Corporation and Van Heusen announced a deal with UFC where Van Heusen will become the official men's dress furnishing provider for UFC. TJ Dillashaw and Stephen Thompson will be in a new commercial for Van Heusen Flex shirts and pants. The commercial will show them in a fight while dressed in Van Heusen clothing to show how well the clothes stretch. Top Rank and ESPN announced a new deal with ESPN getting 54 boxing shows per year on a seven-year contract plus shoulder programming and classic fights. There will be 18 live events per year on ESPN, 12 live prime time events on ESPN+, 24 out of prime time international events on ESPN+ plus all undercards will be on ESPN+. This seems like a similar deal to UFC but even more events. ESPN+ will also have a weekly talk show with Dan Rafael, have the Top Rank library of classic fights and VOD access to ESPN Top Rank events. Matt Taven will be on Monday's CMLL show in Puebla. He was already announced for weekend shows. The top two matches on Monday, which does stream head-to-head with Raw, are Caristico vs. Volador Jr., and Atlantis & Octagon & Taven vs. Cuatrero & Forastero & Sanson. L.A. Park & El Hijo de L.A.Park vs. Pentagon Jr. & Rey Fenix headlines the MLW show on 10/4 in Queens, NY at the Melrose Ballroom. Low Ki, Shane Strickland, Sami Callihan, Davey Boy Smith Jr. and Teddy Hart also are scheduled. Bill Apter will be debuting a podcast on 9/7 with Hulk Hogan as his first guest. AAW runs Saturday night in LaSalle, IL at the Knights of Columbus with ACH vs. Jeff Cobb for the AAW title, Mat Fitchett & Davey Vega vs. LAX for the tag titles, Kimber Lee vs. Jessicka Havok for the women's title, Trevor Lee vs. Myron Reed for the Heritage title, Eddie Kingston vs. MVP Scarlett Bordeaux vs. Allie Kat, plus Jake & Dave Crist, Sami Callihan, Brody King, DJZ, Trey Miguel Zachary Wentz and more. Empire State Wrestling on 8/25 in North Tonawanda, NY at the St. Johnsburg Fire Hall featuring Pepper Parks (Braxton Sutter) vs. Kevin Bennett, plus Kikutaro vs. Space Monkey and Brody King vs. Bill Collier. Bandit Wrestling tonight on Fite TV from the Knoxville Sports Training Facility with DDT's Shigehiro Irie vs. Clayton Gainz vs. Ken Dixon, plus Ethan Page and Brutal Bob Evans. Wrestling Revolver tomorrow night in Dayton at the Rockstar Pro Arena with LAX vs. OVE, plus Dezmond Xavier & Zachary Wentz vs. Nevaeah & Jessicka Havok, and a street fight with Sami Callihan vs. Matt Palmer, plus Shigehiro Irie, Kimber Lee, Rich Swann and Ace Romero. Real Shoot Wrestling on Saturday night in Nutter Fort, WV and the West Virginia Blackberry Festival at Clarksburg City Park at 5 p.m. for a free event. La Parka appeared on Monday night's episode of Senor de los Cielos on Telemundo. The Blackcraft Wrestling debut show on 8/24 in Pittsburgh is now sold out. Joey Janela has been added to the World Series Wrestling Australian tour. Defy Wrestling on 8/10 in Seattle at Washington Hall with Shane Strickland defending the Defy title against Brian Cage, Toni Storm vs. Nicole Matthews plus Trent Seven, Tyler Bate and guest ring announcer Melissa Santos. XICW on Saturday night in Fraser, MI at the Lions Club with Jimmy Jacobs vs. Malcolm Monroe III plus Matt Cross. A tribute to Virgil Flynn III show takes place on Saturday night at 6 p.m. at the Colonial Theater in Sacramento, CA. All tickets are $20. The show is a benefit for the family of Flynn, a Northern California independent wrestler who suddenly passed away due to a stroke. Masato Tanaka is coming to Australia at the end of this month for the BCW promotion. Demand Lucha on 8/25 in London at the Tacofest at the Budweiser Gardens parking lot. PCW Ultra on 9/7 in Los Angeles has Pentagon Jr., Tessa Blanchard, Shane Strickland, Warbeast, Diamante (from Impact), Puma King, Sami Callihan, Brody King, Rich Swann, Jake Atlas, Hammerstone and ACH. Future Stars of Wrestling tonight in Las Vegas at 8 PM. at Neonopolis off Fremont Street with Sabu vs. Funny Bone in an extreme rules match. Stephan Bonnar also wrestles on this show. There is a giant convention in Atlantic City on 8/25 called the Boardwalk Beatdown at the Claridge Hotel. The list of those appearing includes Bill Goldberg, Sting, Young Bucks, Adam Page, Marty Scurll, Ken Shamrock, Moose, Rich Swann, Bob Orton Jr., Jillian Hall, Tama Tonga, Tanga Loa, Abyss, Rosemary, Crazzy Steve, Demolition, Francine, Robbie E, Danny Davis, Fred Ottman, James Ellsworth, Gorgeous George, Matt Riddle, D-Lo Brown, Maven, Paul Ellering, Gary Wolfe, Brutus Beefcake, J.J. Dillon, King Kong Bundy, Punishment Martinez, Gary Cappetta, Kelly Kelly, Lex Luger, Tenille Dashwood, Shane Douglas, Summer Rae, Fallah Bahh, Su Yung, Virgil, Jimmy Rave, Bob Holly, T.J.Wilson (Tyson Kidd), Lisa Varon, Allie, Brandi Rhodes, Joey Janela, Kiera Hogan and many more. CWE tonight in Carman, Manitoba at the Carman Arena with Mentallo vs. A.J. Sanchez. Command Boilshoi will be on the Eve show on 10/13 in London. Primal Conflict on 9/15 in Ranson, WV at the Civic Center. Greetings friends and fans of the F4W / Wrestling Observer website. The 12th annual F4W / Wrestling Observer Empire Las Vegas Convention~! is just around the corner. This year's event will be taking place in Las Vegas from August 16th to the 20th and will again be in conjunction with WWE's SummerSlam weekend a.k.a. Super China Buffet Day~! There will still be the usual events, but our big draw will be WWE's summer blockbuster PPV, SummerSlam. As per tradition, we will all gorge ourselves at a Las Vegas buffet, and then watch SummerSlam in a rented out movie theater. All information and ticketing prices are available now. Sign up ASAP as spots are limited for some events. This year will also feature a Future Stars Wrestling show which will include the first ever Granny's Doubles Match Classic! Already booked for the show are the teams Mia Yim & Leva Bates, Shotzi Blackheart & ?? ?, Samantha Heights & Brittany Blake, and Miranda Alize & Kylie Rae. Also just booked for the show is a tag team Grappling Battel~! featuring Bryan Alvarez & Jack Jamieson vs. The Beach Bums (PeachMachine & Mikey G), You won't want to miss this show! Check out the convention's Facebook page for all additional information.